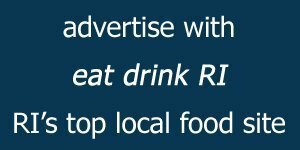 The Eat Drink RI Festival, April 28 – May 1, is three weeks away and many more exciting vendors have signed on to participate in the year’s most anticipated culinary event. NBC 10 WJAR has signed on as a partner providing coverage and media personalities. Tickets are now on sale for all four Festival events. Get them before they sell out at eatdrinkri.com/festival. The Festival opens on Thursday, April 28th with Dinner by Dames Five to benefit Sojourner House, Rhode Island’s most popular multi-chef tasting dinner led by eleven extraordinary women chefs and bartenders. The always sold out Truck Stop to benefit the Rhode Island Community Food Bank returns on Friday, April 29th. There are over 50 exhibitors ready to sample their locally produced food and drink at this year’s Grand Tasting on Saturday, April 30th. 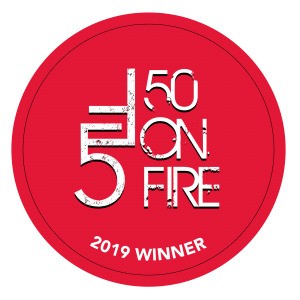 Returning favorites include, The Backyard Food Company, Dave’s Coffee, The Granny Squibb Company, Jonathan Edwards Winery, Narragansett Creamery, Revival Brewing, Sons of Liberty Spirits and Yacht Club Soda. New exhibitors to this year’s Festival include Barr Hill by Caledonia Spirits, Cocofuel, Garde de la Mer and Shinn Estate Vineyards, with more to come. 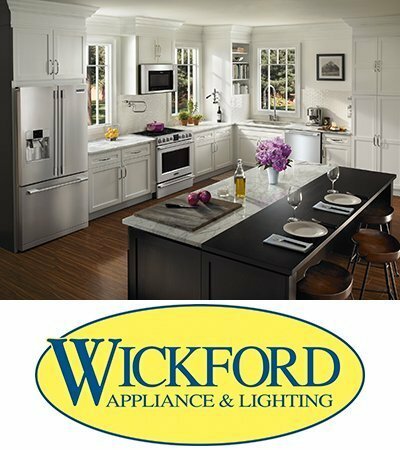 The move to the Rhode Island Convention Center for the Grand Tasting has taken the chef and farmer culinary presentations to the next level with a demonstration kitchen provided by Wickford Appliance with Frigidaire Professional appliances. 2016 James Beard Award semifinalist Chef Derek Wagner of Nicks on Broadway with Jules Opton-Himmel of Walrus and Carpenter Oysters will be showcasing Opton-Himmel’s locally farmed oysters along with his newly developed, innovative kelp product. Willa Van Nostrand of Little Bitte Artisanal Cocktails with Lee Ann Freitas of Indie Growers will demonstrate herb infusions and how to incorporate them into cocktail making. 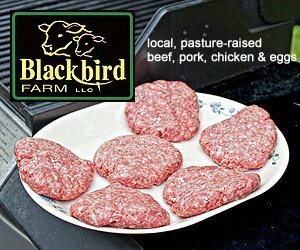 Chef Kaitlyn Roberts of Easy Entertaining with Ann Marie Bouthillette of Blackbird Farm will take the stage to discuss locally raised meats and grinding your own burgers for the grill. Chef Melissa Denmark of Gracie’s and Chef Sara Reilly of Ellie’s Bakery will show how to prepare beautifully decorated French desserts. The expansion of the Festival’s Grand Brunch on Sunday, May 1st to the Ballroom at the Convention Center will feature 15 restaurants including custom craft cocktails and a coffee bar. Champagne Jacquart will be poured to greet guests. Entertainment will be provided by student jazz musicians, with special performances by The Chifferobe TropiGals, New England’s premiere vintage dance company. The Grand Brunch supports the Victoria Alviti Music Foundation, an organization dedicated to providing grants for music education. Tickets and more information can be found at eatdrinkri.com/festival.